For workers, students, shoppers, families and friends of all ages, Citilink is an affordable, dependable solution to get you where you need to be. With citywide access to that better job, next degree, and a world of entertainment, life's opportunities are as close as the nearest bus stop. Get on board — there's a world of opportunity waiting for you! Citilink offers a great work environment and has openings in several areas. Apply here today! Anyone with an internet connection can buy anyone a bus pass and have it instantly delivered and available for use! Now you can use your computer, smart phone or other web enabled portable device to see exactly when your bus will arrive at any Citilink bus stop in our system! 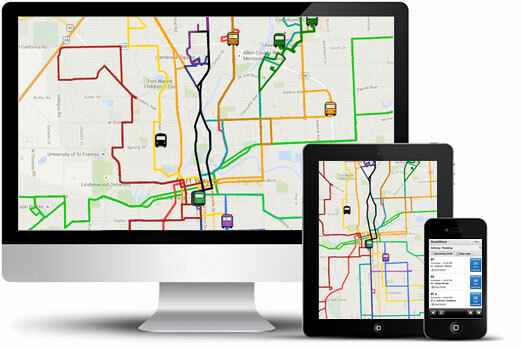 It's as easy as entering a bus stop and the route you are looking for, and you will receive live, continuously updated information on when that bus should arrive at the stop.